The Libyan coastguard on Sunday (6 May) prevented a rescue ship belonging to two NGOs from approaching a boat in distress carrying migrants, an AFP photographer witnessed. The Aquarius, chartered by SOS-Mediterranée and Doctors Without Borders (MSF), was informed by the Italian coastguard of the presence of an overloaded boat off the coast of Tripoli, reported the photographer on board the NGO boat. And he warned that tensions between the Libyan coastguard and the NGO boats could worsen over coming days if they continued to approach stricken boats. The Libyan coastguard has previously accused NGOs of causing panic and confusion by their presence during rescues as the migrants all surge to reach the charter boats to avoid being returned to Libya. 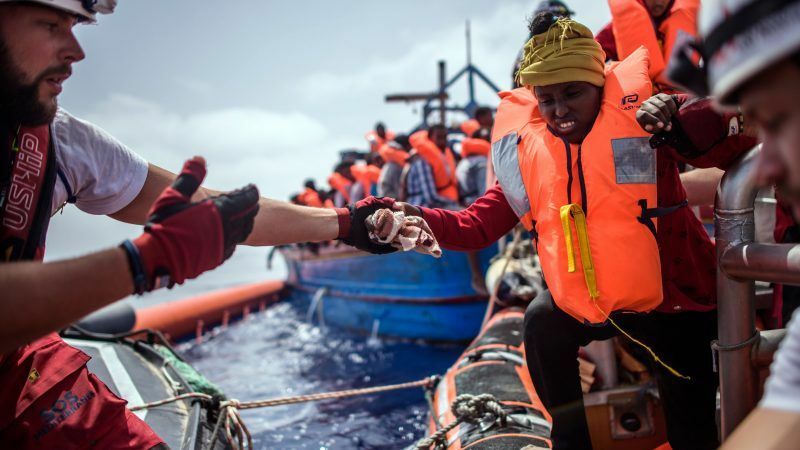 But Italian deputy Riccadro Magi, who was present on board the Astral, a boat chartered by the Spanish NGO Proactiva Open Arms, earlier Sunday when it rescued 105 migrants, accused the Libyans of being heavy-handed. “The Libyans act as pirates in international waters demanding that they be recognised as an authority. They act outside the law and they do so with the means provided by the Italian government,” he said on Twitter. On Saturday, the Libyan coastguard also forced the Astral and another ship to move away from a boat carrying 38 migrants. Last November, German charity group Sea Watch said lives had been needlessly lost because of a Libyan coastguard being trained and financed by the European Union. According to the NGO, the Libyans began “beating and threatening” the migrants on the stricken boat, provoking panic that caused some to fall overboard.